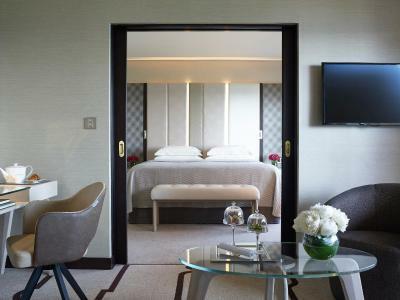 Lock in a great price for Four Seasons Hotel - rated 9.4 by recent guests. Breakfast and bar in the lobby are very good. Good gym. Free underground parking for the guests. Bed was amazing the room turn over and general attentiveness off the staff was outstanding. Everything was fantastic, comfortable king size bed, beautifully designed bathroom with nice ambience, spacious room and amazing room service! Hotel is absolutely beautifully decorated. Very good staff like Alshif, Costanian. very good restaurants. The overall ambience, staff was friendly, food was delicious although there is very limited options for HALAL food but the avaible options were delicious. Everything was superb we were thrilled with our stay. From the first minute to literally the last minute we loved everything. Staff were welcoming and polite. We were greeted with a welcoming strawberry juice (special edition for valentines i am guessing). The steam rooms, in door pool was amazing. The facilities at the gym were top notch latest equipment with towels, water and fruit. 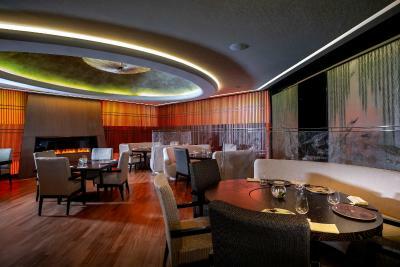 Vivaldi was a great experience food was excellent quality with live music (piano). Then there was live music with singers at the bar. The breakfast was out of this world top quality in everything. The room very clean with fruit, coffee, tea, complimentary water and molton brown products. When we checked out they gave us chocolates as a goodbye!! Amazing!! 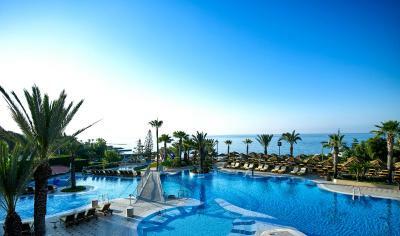 Definetely best hotel in Cyprus. We will definetely visit again at the first opportunity!! The independently owned Four Seasons Hotel lies on a private part of Limassol’s sandy coastline offering 5-star accommodation amidst tropical gardens with 2 free-form pools and 2 floodlit tennis courts. 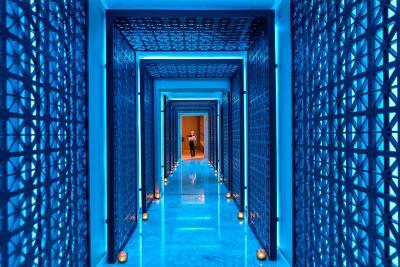 It also features 3 award-wining restaurants and the exclusive Shiseido Spa. 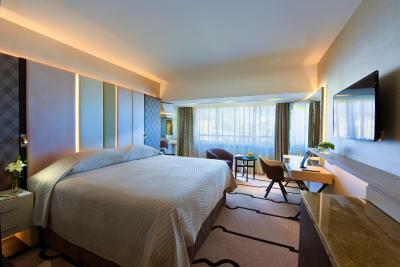 Rooms, studios and suites at Four Seasons are elegantly furnished and come with a satellite LCD TV, laptop-size safes and coffee makers. 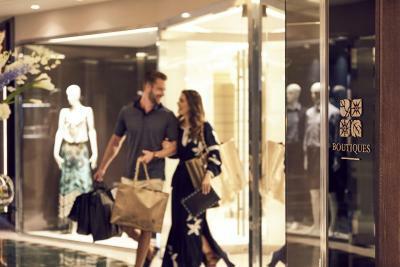 In the marble bathrooms, you will find Molton Brown amenities. Most units open out to a private balcony. 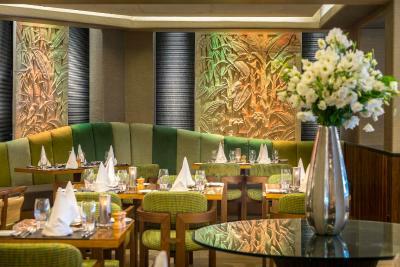 Guests can choose among Mediterranean and oriental options for dinner, which they can enjoy in stylish environments. 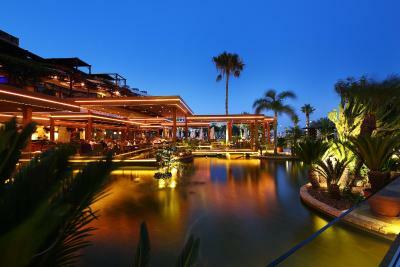 Four bars, by the pool, in the gardens and on the beach are ideal for enjoying an exotic cocktail, an ice cream or a snack. At the Vista Terrace, freshly made Sushi, Oysters and Shisha are served. 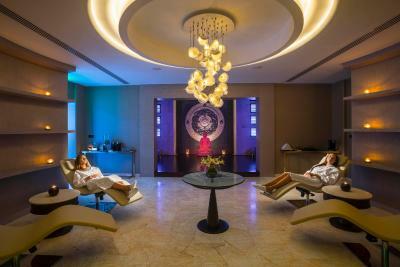 Unique in Cyprus, Shiseido Spa offers a number of luxury treatment rooms and a dedicated relaxation area. 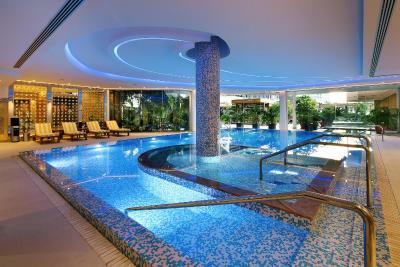 Other leisure facilities include an indoor heated pool, a sauna, 2 steam rooms and an ice room. 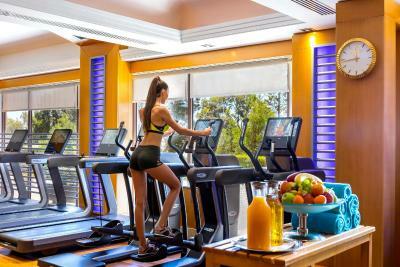 Guests can also visit the fully equipped gym or take diving lessons by trained staff. 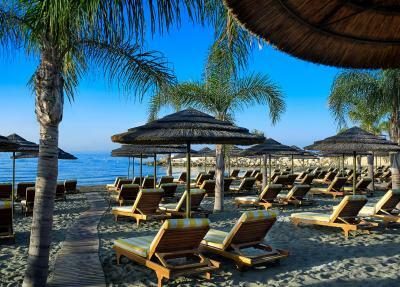 The Limassol's city centre is 6.8 miles away, while the marina is at 5.9 miles. The port of Limassol is 11.2 miles away, while the airports of Paphos and Larnaca are both approximately 37.3 miles away. Cyprus University of Technology is at 5.3 miles. 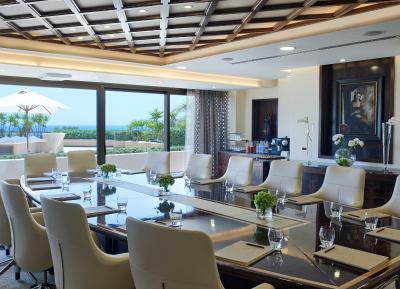 The 24-hour front desk can arrange car rentals, excursions and restaurant reservations among other services. Agios Tychonas is a great choice for travellers interested in seafood, relaxation and beaches. Four Seasons Hotel has been welcoming Booking.com guests since 10 May 2013. 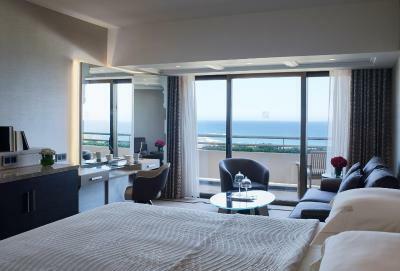 When would you like to stay at Four Seasons Hotel? All rooms have LED TVs with multi language channels and interactive guest services, free WiFi, smart room technology, hairdryer, large electronic safe, minibar, Nespresso and tea/coffee making facilities. 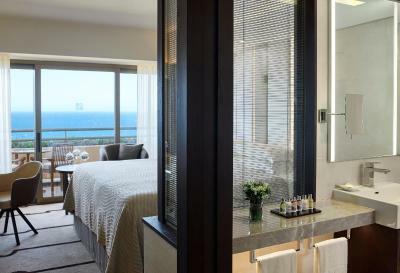 Bathrooms feature marble fittings, walk-in showers with Chroma therapy lights, privacy blinds, large mirrors, Bathrobes, slippers and Molton Brown amenities. All rooms have LED TVs with multi language channels and interactive guest services, free WiFi, smart room technology, hairdryer, large electronic safe, minibar, Nespresso and tea/coffee making facilities. 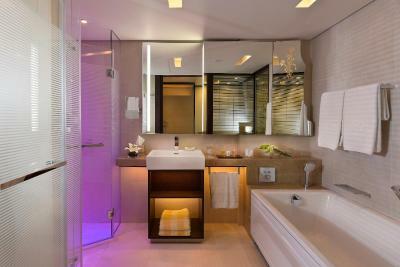 Bathrooms feature marble fittings, walk-in showers with Chroma therapy lights, privacy blinds, large mirrors, Bathrobes, slippers and Molton Brown amenities. They have a furnished balcony looking out to the Mediterranean Sea. 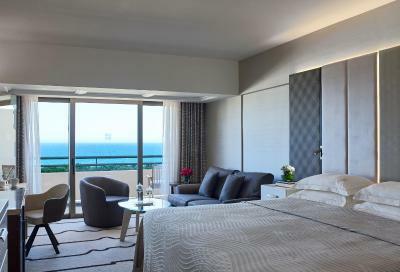 This suite opens out to a double furnished balcony with panoramic views over the Mediterranean Sea. It includes a living room with large sofa and 40” LED TV with satellite channels, bedroom with kingsize bed and TV and spacious bathroom with spa bath, 2 basins and walk-in rain shower. It also offers free WiFi, CD player, and minibar. 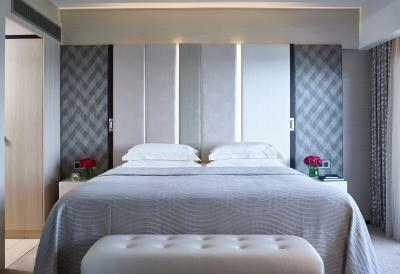 Please note that this room type can accommodate up to 2 persons. There is no capacity for extra bed. Family rooms have a walk-in shower and separate bathtub, LED TV with pay movies, free WiFi, safe, minibar, Nespresso and tea-making facilities. 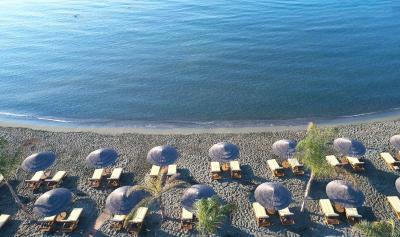 All rooms have a furnished balcony with views of the Mediterranean Sea. Please note that this room type can accommodate 2 adults and 1 child up to 13 years old. Persons above 13 years old will be extra charged. Family rooms have a walk-in shower and separate bathtub, LED TV with pay movies, free WiFi, safe, minibar, Nespresso and tea-making facilities. 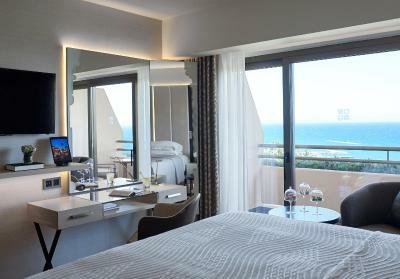 All rooms have a furnished balcony with views of the Mediterranean Sea. Please note that this room type can accommodate 2 adults and 2 children up to 13 years old. Persons above 13 years old will be extra charged. Upper-floor studios are spacious with a walk-in shower and separate bathtub, LED TV with pay movies, free WiFi, safe, minibar, Nespresso and tea making facilities. They have a furnished private balcony offering tranquil views across the gardens to the sea. Located in the adults only wing, this studio is ideal for couples or business guests. Beautifully sheltered in green surroundings and featuring an innovative luxurious design and smart room technology, all Garden Studios on the Ground floor feature a private Jacuzzi® in front of their balcony, within the river-like pool. Finely tuned with the needs of our adult guests, the Garden Studios feature a number of facilities that cover every aspect of comfort, such as a Nespresso machine®, a spa bath with remote control function and a separate walk-in shower with Chromatherapy. Guests are offered private check-in, complimentary drinks and canapés every evening, valet service for luggage unpacking and a deluxe fruit basket, replenished daily. Beautifully sheltered in green surroundings and featuring innovative luxurious design and smart room technology, these studios are ideal for couples or business guests. All Garden Studios on the Upper Floor feature a private Jacuzzi® on a balcony with motorised shades, offering total privacy. The Garden Studios feature a number of facilities that cover every aspect of comfort, such as a Nespresso® machine, a spa bath with remote control function and a separate walk-in shower with Chromatherapy. 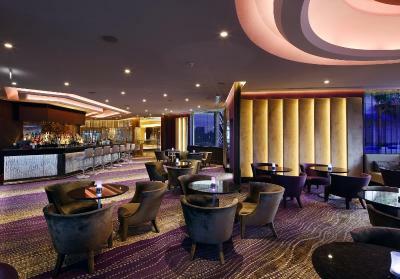 Guests are offered private check-in, complimentary drinks and canapés every evening, valet service for luggage unpacking and a deluxe fruit basket, replenished daily. 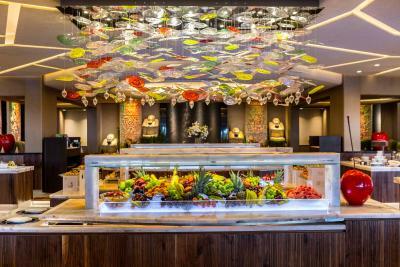 The Four Seasons has reopened its doors after our latest renovation and is looking forward to welcoming you again. This is the second time in our 23-year history that we have fully recreated our hotel – and the results are for you to assess and enjoy. 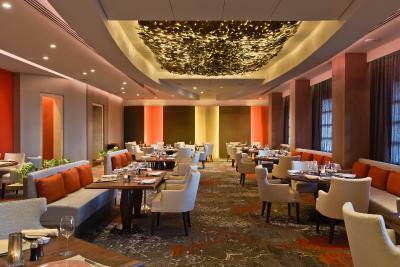 In many ways, the Four Seasons has matured. Luxury has developed into sophistication; aesthetics has blossomed into finesse. In terms of furnishings and décor, slimmer lines and delicate designs have a liberating and relaxing effect. Especially in the guest rooms, many of the upgrades cannot be captured in images, but must be experienced to be appreciated. Across the hotel you will witness the beauty, functionality and playfulness of light, as a perfect complement to our sunny climate. Like no other element, light has an immediate effect on how we feel, our mood and state of mind. Above all, it is our way of renewing our promise to offer you genuine hospitality that is recognized as the Finest on the Island. Property surroundings – This neighbourhood is a great choice for travellers interested in seafood, relaxation and beaches – Check location Excellent location - show map Guests loved walking around the neighbourhood! 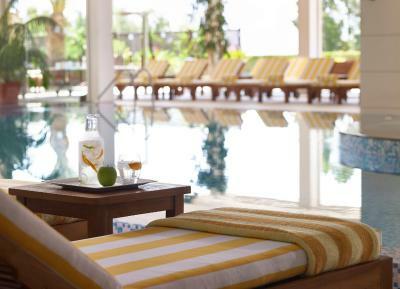 House rules Four Seasons Hotel takes special requests - add in the next step! Four Seasons Hotel accepts these cards and reserves the right to temporarily hold an amount prior to arrival. Please note that WiFi up to 8mbps is free of charge. 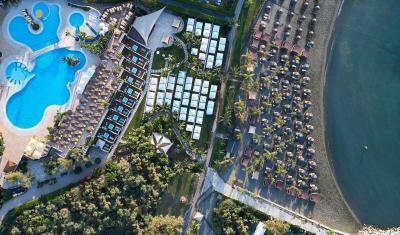 Guests are kindly requested to inform the property about the exact number of persons that will be accommodated. Please note that special entertainment and BBQ evenings are organised from June to October, on a weekly basis. Please note that some outdoor facilities are closed during winter period. Please inform Four Seasons Hotel in advance of your expected arrival time. You can use the Special Requests box when booking, or contact the property directly with the contact details provided in your confirmation. 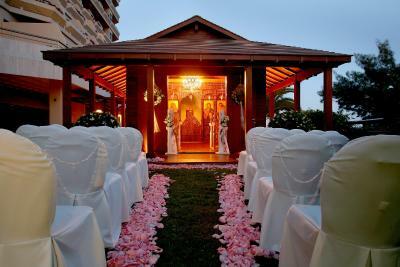 I booked this FS Cyprus based on raving reviews and we were not disappointed in any way! We are a family of four with a teenager and preteen and everyone was happy :) We were greeted with the most warm welcome and this set the tone for our entire stay! The rooms were beautiful, clean and spacious. The beds were the most comfortable and I think we all slept the best we have had in awhile! The bathrooms are gorgeous! Housekeeping did an amazing job daily. We purchased full board and we loved the options at the buffet. I am vegan and they were more than accommodating! A meeting was set up with one of the chefs and our entire stay, I had absolutely no challenges with vegan options. The buffet offered the best options at lunch and I was able to put in special orders for the other meals. We all loved the food! The pool area was beautiful and the pool a great size for the kids to play in. The pool staff was amazing and would help locate a chair for you if needed. The beach was perfect. My husband and I both athletes and had massages at the Spa, and they had to be the best deep tissues massages by Patcheree. I also had a facial that was amazing! Before we left we personally met the guest relations manager Andreas Alkiviades. Andreas was extremely welcoming and genuinely made us feel so incredibly welcome and valued as resort guests. We have never been received my management in this manner at any hotel and it made our visit that much more special! I know I have had said "amazing" a lot during this review but that was just that AMAZING! We would return in a heartbeat! The room temperature was too high during the night despite the fact that we had set a lower temperature through the tamplet. In addition, we 'd expect from a 5star hotel a more comfortable bed for the 3rd person instead of a campbed. The location was horrible also the hotel can’t be called a resort it’s old and there was nothing to do. Best rest and sleep in my life. Luxury decoration and kind staffs to all guest. If we will visit in Cyprus again, let me try to stay with my family. Everything was amazing. It would be nice to have a small green playground for children (3-4 years) to play.